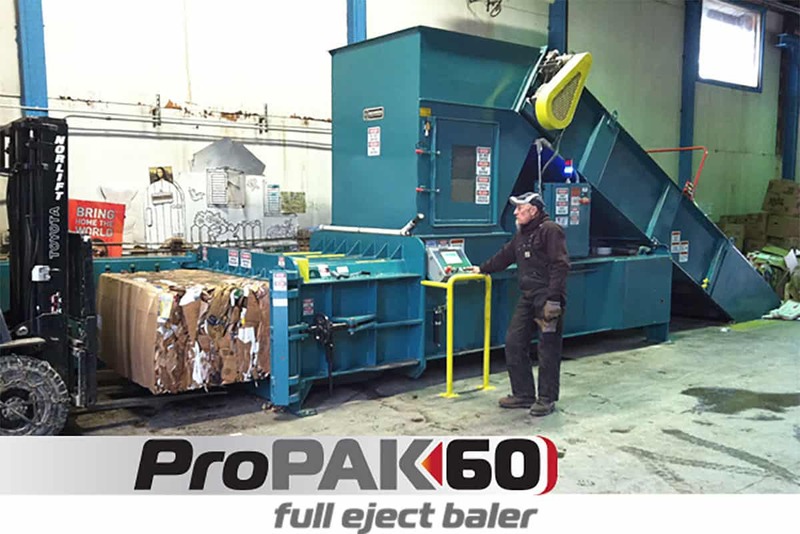 Take the guesswork out of your baling operation with Maren’s ProPAK60 Full Eject Balers with exclusive Smart Bale Technology. Color touch screen alerts the operator when it is time to tie off the bale and leads them through the bale completion, tie and eject steps as well as how many bale ties to use and the proper position for the ties. Each material recipe has unique bale tie count and placement parameters that only need to be put in once…. it’s nothing less than the smartest of its class! With Full Eject, the chamber is cleared after each bale is made, so switching to another material does not require shutting down, cleaning out or making unwanted contaminated bales from the previous material. 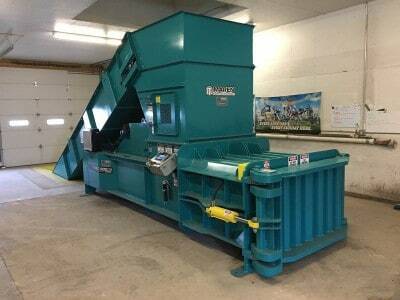 54” X 40” (60) – 54” X 70” (60S) Feed Opening – is the largest in its class. Allows unbroken boxes to fall in without obstruction. 109 PSI. (60) – 104 PSI. (60S) Platen Force Pressure – Platen forces are rated by actual force and not an“up to” or superficial number extracted from a maximum hydraulic system psi. 400 Brinell Wear Liners – promote long service life and are completely replaceable. 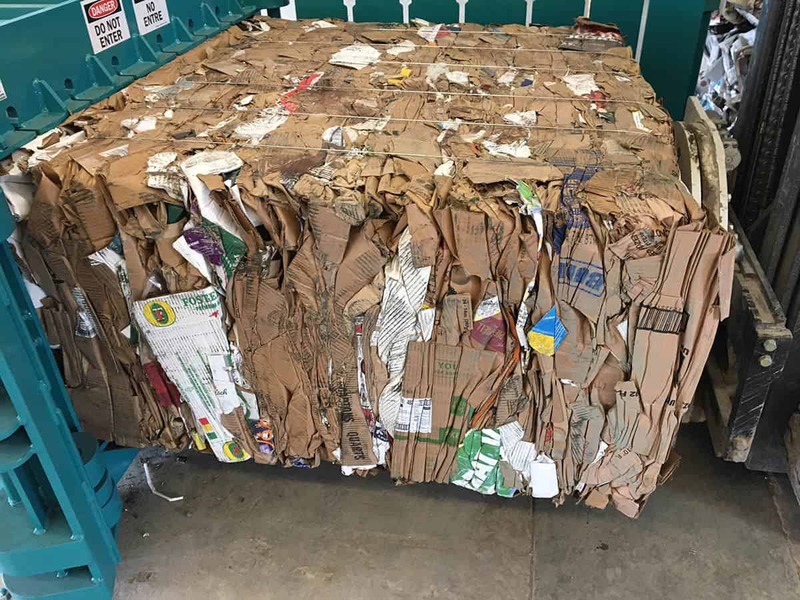 Smart Bale Technology – allows operator to select bale sizes perfect for loading trucks or sea containers. 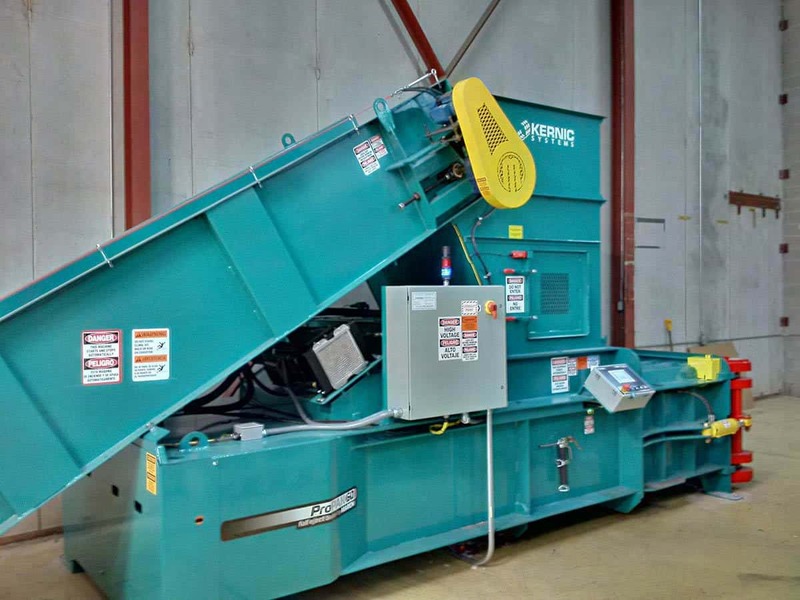 Smart Shear – features a 27-point chassis shear blade, progressive platen shear and utilizes special bale chamber geometry to all but eliminate shear jams. Easy Tie System – allows for easy feed of bale wire without debris obstructing wire travel path. In addition, the Tie System is easier to operate and faster than other manual tie systems, including hydraulically assisted tie systems. Gravity-actuated Retaining Dogs – assist in keeping highly resilient material from expanding back into the feed chamber after compression. 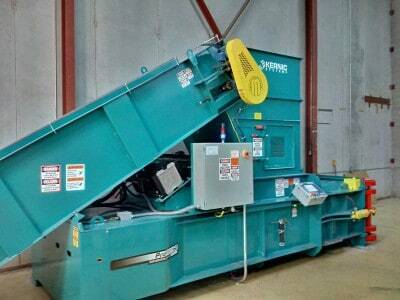 Automatic Bale Decompression – after a bale is tied off and complete in the chamber, the main ram automatically decompresses prior to allowing the operator to open the bale door. 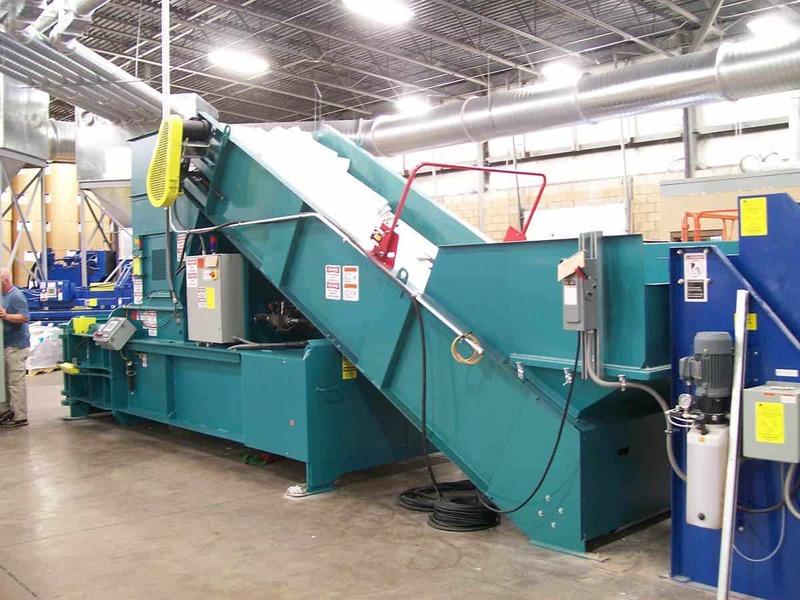 Streamlined Hydraulic System – exceeds performance of competitors 30hp. balers by utilizing high efficiency pumps and minimizing hydraulics components, hoses and leak points. 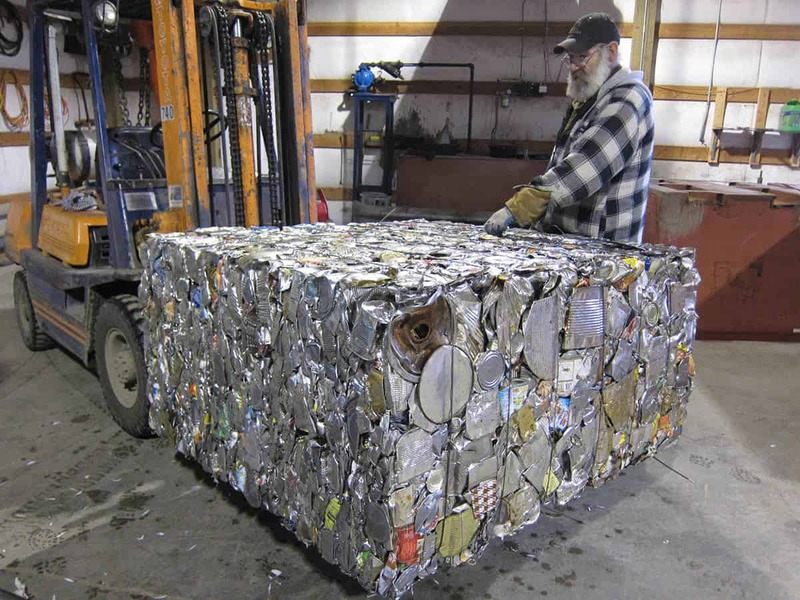 Interlocking Chassis Construction – of ½” & ¾” steel plate interlock with the other chassis components using tab and slot construction; this results in baling stresses being bared on the strength steel, not the welds. 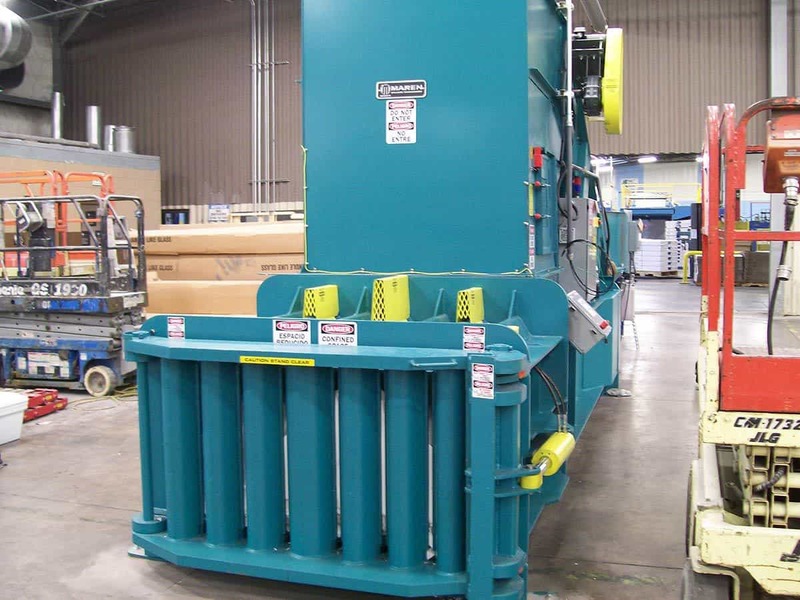 Non-Ferrous Door – shares same design as larger non-ferrous balers for ultimate in durability. Oversized Cylinder Mounts – offer unmatched strength and durability. 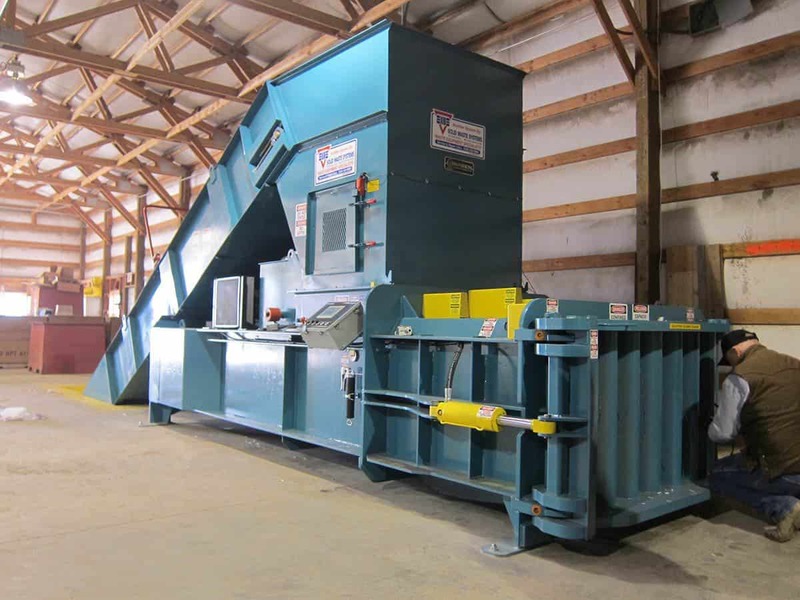 Remote Mounted Controls – for operation and bale ejection are mounted near the front of the baler, giving the operator unrestricted view of the bale while ejecting a completed bale. 1-2-3 Warranty – ProPAK60 -1 year labor, 2 year parts, and 3 year structure and cylinder. 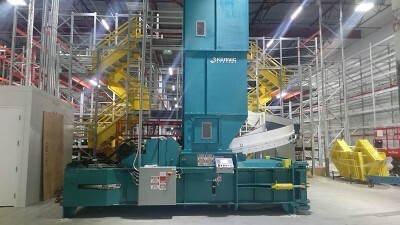 Warranty – ProPAK60S -1 year on parts and labor. Baler Shipping Weight: 22,000 lbs. 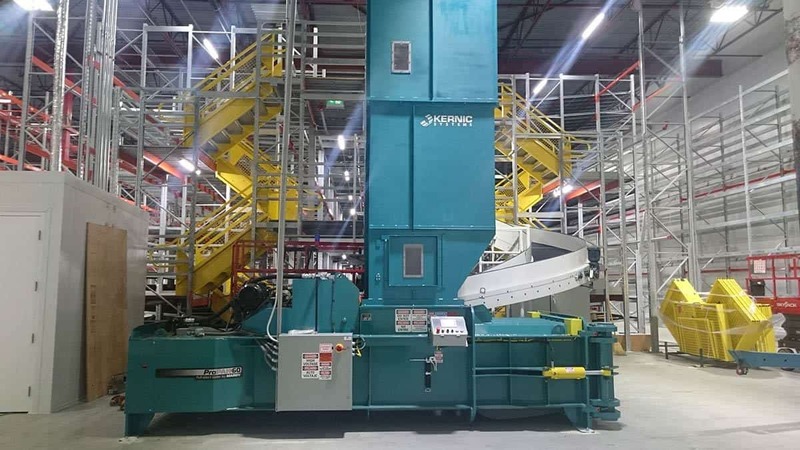 * Due to Maren’s commitment to product quality and refinment, these specifications are subject to change without notice, and without incurring responsibility to units previously sold.